Nearly a century old, California State Route 1, or simply Hwy 1, connects Southern and Northern California along its coast. However, more importantly it connects people with coastal access while offering great views of the Pacific Ocean. Yet, lying roughly halfway between San Francisco and Los Angeles, is maybe Hwy 1’s most significant contribution with a spectacular stretch of thoroughfare along the Central Coast – arguably the most scenic road in the world. At the south end, Hwy 1 starts in Dana Point and moves north through Orange and Los Angeles Counties as Pacific Coast Highway. As it leaves the Greater L.A. area heading west and north, it slides along the flat farmlands of Oxnard in Ventura County before turning west again towards Santa Barbara and moving away from Southern California. As the road enters the Central Coast, it goes up San Luis Obispo County beach region and this where Hwy 1 really comes into its own as a highway like no other. It strolls through the rugged coastline north along Big Sur into Monterey County – we’ll get back to this slice of heaven in a moment. After the undulating shoreline of Monterey, the highway turns east before heading down into Santa Cruz. The road, called the Cabrillo Hwy in this region, shoots north again towards the San Francisco Peninsula and its own rocky prefectures. After the Golden Gate Bridge, Hwy 1 becomes a two-lane road again as it winds it way along the western edge of Sonoma County before ending its scenic route along the Redwood-lined Mendocino coast. Big Sequoias abound in Big Sur. Nearly any part of this famous road is worth driving, but the diamond in this jewel of scenery is the Central Coast and most notably Big Sur. Words can’t describe the beauty, natural tapestry and pure breathtaking scenery that offers an experience unlike any other. If you’re looking for a happening place with restaurants, hotels and parties, this ain’t the place. In fact, it’s one of the least populated areas in California. From the time one leaves Morro or Monterey Bay on either end and heads north or south respectively, you had better have plenty of gas and maybe a snack to get you by as you roll up and down along the back and forth heaving of a ocean edge. Essentially, the picturesque point-to-point drive in particular that we’re talking about is from the small towns of Cambria to Carmel. There’s so much to see, you have to go slow and stop sometimes to take in the sheer magnificence of Big Sur. The only sounds you’ll hear are nature, whether it’s the ocean waves, the many birds, the California seal lions or the occasional waterfall. Plan to spend a least half a day traversing this stunningly scenic 100 mile span. And note that you can actually drive the distance from Cambria to Carmel faster by backtracking east and going inland and up/down Hwy 101 and then west back to Hwy 1 than heading up the coastline … but what fun would that be? Sometimes called the Big Sur Highway, exploring this expanse offers rewards beyond comprehension. From towering bridges and 1,000 foot cliffs with a crashing Pacific below, this awe-inspiring unspoiled land is filled with treasures to be discovered. There are giant Redwood forests (Sequoias) that can capture your imagination with real life sights and sounds. From Monterey Bay National Marine Sanctuary in Carmel to Moonstone Beach in Cambria, there are endless beaches to find and enjoy where bird and sealife abound. 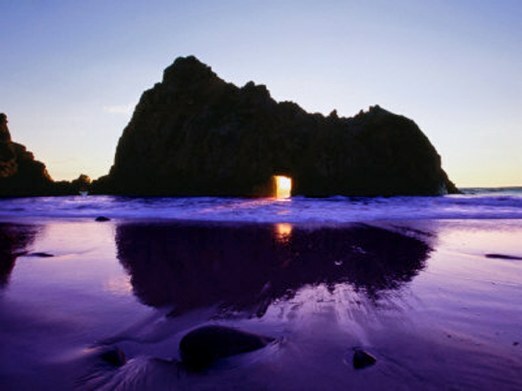 Here’s a tip: check out the purple sand at Pfeiffer Beach. Pfeiffer Big Sur State Park really does have sand that is purple-tinged. Unless the weather says otherwise – this craggy Big Sur coast has its fair share of nasty conditions including dense fog in the summer – a convertible is the preferred method of travel up and down this jaw-dropping and celebrated road. The views are dizzying and drivers should be careful. Likely the world’s most scenic road, this great driving tour of California State Route 1 should be on anyone’s to-do or bucket list. The legendary twisting hugging and aptly named Hwy 1 road is waiting for you. This entry was posted in Central Coast and tagged Big Sur, California State Route 1, Highway 1, Hwy 1, Monterey, Pacific Coast Hwy, The Most Scenic Road In The World on March 26, 2015 by PasoDr. You’re on the go, and want to take your go-to wine with you. Here’s one of the latest products that just might be the only thermos/canteen you will ever need, or go for – the Vinnebago. The insulation technology is what makes this handy 25 oz Vinnebago bottle unique. With a spill-free screw-on cap, the tripled walled stainless steel (this is why the canteen is magical) and vacuum-sealed devise comes in white, black and silver. By the way, the 25 ounces is about what a typical wine bottle holds – they didn’t miss anything with this beauty. The sleek and contemporary design looks cool as well. It is safer than bringing bottles wherever you go and can take a lick, if it must. 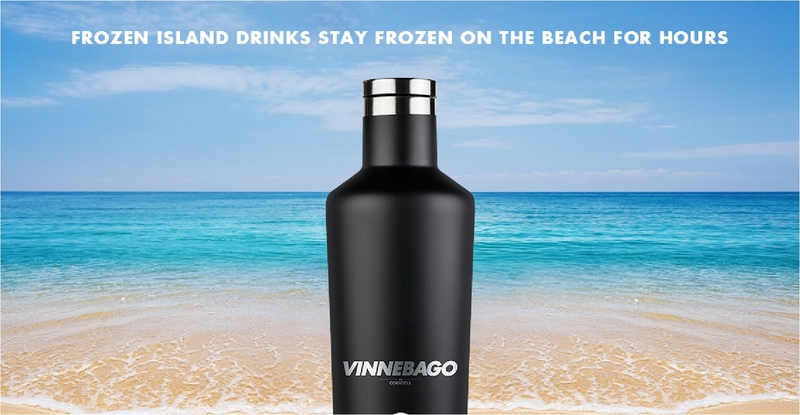 So whether your heading to the beach, a picnic, camping and any other outing, the nifty Vinnebago should be part of your quick get-up-and-go arsenal. It’s time to have fun and Vinnebago won’t disappoint. This entry was posted in Wine and tagged canteen, corkcicle, thermos, Vinnbago on March 24, 2015 by PasoDr. A decade ago, grape-growing and wine in Texas was an afterthought. While being the second largest and most populous state in the United States, and with more farms than any other state in the Union, Texas supplies more than their fair share of crops including cotton, grain, hay, nursery (flowers, trees, etc), fruits, nuts and many other foodstuffs. Vine grapes have never been high on that list … but they are now. In 2012, Texas barely made the Top 10 wine producing states in the U.S., yet now, Texas has moved into fifth nationally, along the way passing old wine stalwarts like Ohio and Pennsylvania. Indeed, wine is booming in Texas. Overall, the Lone Star state is nowhere near the size of the California grape behemoth as a wine producer, considering they only have a tenth of the acreage planted that we here in Paso Robles have. However, they’re on a steady upward growth with plenty of land and it should be noted Texas predates the Golden state in producing wine. Going back almost four centuries, the Spanish missionaries established vineyards to make sacramental wine – primarily in West Texas. Texas has a huge amount of natural resources and certainly doesn’t need to add wine to their production resume. Yet, where cotton is king, that’s exactly what’s happening, with a steady upward growth what with have plenty of land and a strong economy. Frost is a problem in Texas and has decimated past grape crop yields. Texas is generally a dry climate but due to the fact they sit at the backside of the Rockies, on the Gulf Coast and susceptible to weather from the Great Plains, there isn’t an ideal environment for making multiple types of wines. However, each region has their own climate that can grow certain varietals and folks in Texas are learning how to cope with the sometimes violent changes in weather to produce excellent vino. One of the many reason for the growth is the fact cotton prices have dropped and forced farmers to look elsewhere for revenue. Add in lack of rain – yes, Texas has a bit of their own drought issues – and vineyards are beginning to pop up in places like South Central Texas (just north and west of San Antonio) in what is called Hill Country. Not unlike other wine regions, at the very southern end of the Great Plains, Cabernet Sauvignon and Chardonnay are the widely planted varietals in Texas. As far as Hill Country, the biggest gains recently are Rhone Valley style wines such as Syrah. Also, north of this region in the high plains of West Texas, where oil and cotton are giants, production of wine is prevalent as well – even if frost is always a problem. Though hard to believe or envision the wine industry growing in the land of cowboy hats and pickup trucks, surrounded by vast cotton fields, but that is exactly what is happening. And to add to the growth, stories such as Wine Enthusiast Magazine listing the area as one of the Top 10 travel destinations, the continuing development and expansion of vineyards will only grow. Everything in Texas is big and certainly the big growth of their booming wine industry is making everyone take a hard look at the Lone Star state as a real player in the vino business. Weather – including drought and frost – may hinder Texas from ever moving any higher up than fifth on U.S. wine producing state list, but without doubt, wine grapes are making an indefinite appearance in the Southern Plains. Texas may still be the land of cotton, however there truly is a wine boom going on. This entry was posted in Wine and tagged drought, Hill Country, land of cotton, Lone Star state, Southern Plains, Wine Boom ... In Texas on March 20, 2015 by PasoDr. When large and successful companies started selling a product like boxed wine on a regular basis, most folks in the vino world shrugged. However, when they start selling ‘premium boxed wine’ then people start taking notice. While those same experts might be cringing at the thought of a socalled premium wine being sold by the box, premium boxed wine appears to be here to stay. Just as industry experts scoffed at the idea of canned wine, which is apparently on the horizon as a product for the near future, it seems as though boxed wine has found a following and now quality wines are coming to the fore. Award-winning Black Box Wines has sold millions producing Cabs, Merlot, Chards and almost any other major varietal you can think of. This segment of wine is on the rise. With a larger and younger crowd now buying wine, the advent of screw caps, canned and bag-in-a-box wine has taken off and may be the future of wine as we know it. If to put a seal on it, if you will, even Good Housekeeping thought four different boxed wines should receive their stamp of approval. As many winemakers were apt to say to me over the years, it all starts in the vineyard; so, if quality comes off the vines, it will presumably be of that same quality when it’s placed in a bag or a bottle. Something else to keep in mind and is an argument the bag-in-a-box crowd has preached for awhile is that the wine last longer in a bag than a bottle. Of course, once you open a bottle of wine, it needs to be drank within the next couple of days, while a bag can stay fresh and last a solid month after being first opened. I’m sure this isn’t lost on wines like Black Box and Vin Vault. Another company has put a crate spin to this phenomena by rethinking the packaging with a bag in a wooden box from Wineberry of France. This actually has been out for four or maybe five years now and tries to waylay the stigma of cardboard wine with a classy looking wooden crate box. These premium boxed wines are retailing at between $20 and $30 a three liter box (the equivalent of four bottles), the old me would have said, ‘heck yeah, give me some of that boxed wine’. The more informed and now nuanced me isn’t so sure yet. Still, sales of premium boxed wine are booming and portability is big nowadays, plus it has to remembered the younger crowd isn’t sold on the pop of the cork and would just as soon have a good vino drained from a bag as be poured from a bottle. This entry was posted in Wine and tagged bag-in-a-box, Black Box, premium boxed wine, Vin Vault on March 17, 2015 by PasoDr. Anyone who lives in California finds out fairly quickly that there’s a north and a south – and the two regions are different in many ways. The primary reasons for the differences has to do with weather, cultural and geography. The latter is significant, what with mountain and deserts along with a large valley making the divide muddled at best. Geographically speaking, the southern part of the state is drawn by 35° 47′ 28″ north latitude. However, this isn’t necessarily how it works in reality. Central California is used to designate areas in the middle of the state to differentiate between the two giants to the north and south – the Bay Area and Greater Los Angeles. However, it’s generally regarded that the state is of two parts: north and south. Here on the Central Coast, the line is partly drawn through the center of San Luis Obispo County with the Cuesta Grade. First used as part of the El Camino Real (The King’s Highway) to connect all the Spanish missions, it is a sliver of a crevice that was used by the railroads and eventually became an opening for a major north south highway (101). 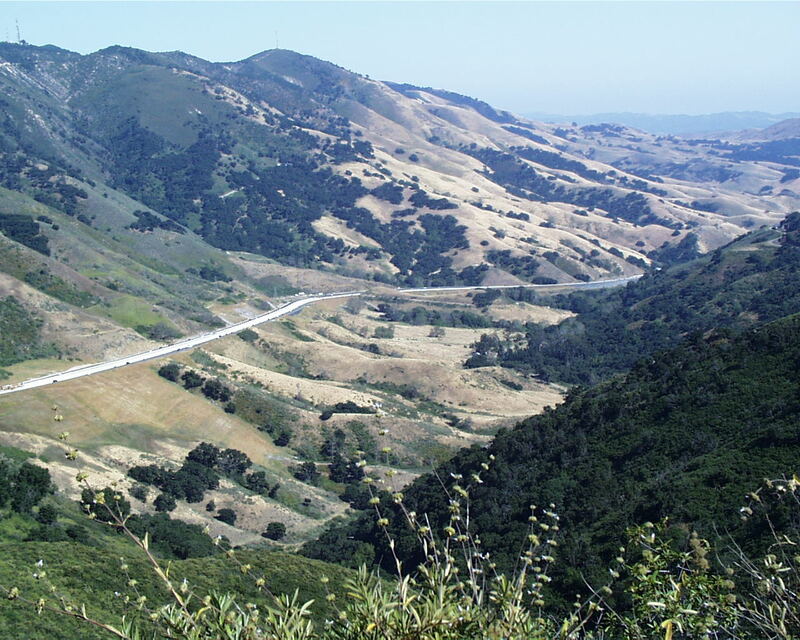 This seemingly arbitrary ridge – part of the Santa Lucia Range – is the physical dividing line between what is called the ‘North County’ and the southern portion of San Luis Obispo County. It also could be a cultural divide as well. The southern part of the county tends to be from a laid back typical California attitude that includes mild weather and beaches – not unlike SoCal. North is a different way of life. Much of this land north of the Cuesta Grade is wine country and the deep diurnals with definitive seasons are some of the differences that break these two regions up. And sports. Boy, did I learn quickly. When I first moved here from 250 miles away in SoCal, I soon learned that this was San Francisco country, and to some extent, a Bay Area sports enclave, especially in Paso Robles. I knew that the schools in the locale mostly played Southern California programs in sports – I played a football game some 40 years ago at War Memorial Stadium here in Paso. However, that’s where the commonality ends. I even contacted the local sports guy on TV – you can do that here – and he said what I had noticed: the Cuesta Grade divided the region. 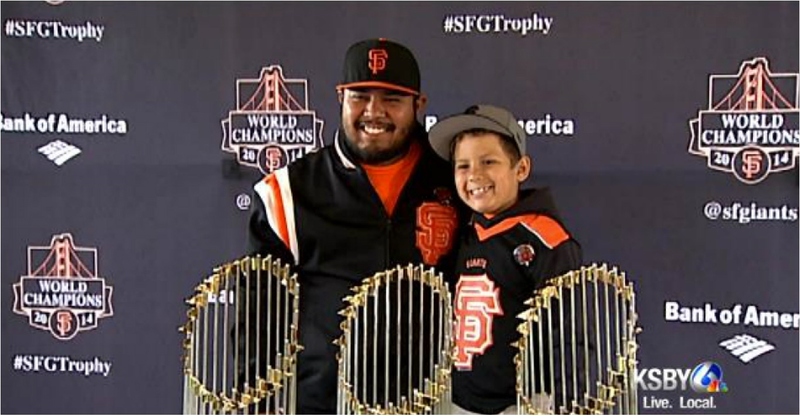 Walk into a barbershop, real estate office or even a grocery store in Paso Robles and there are San Francisco Giants’ pennants, signs et all wherever you look. As a lifelong and true-blue Dodger fan, this made me a little ill. And they’ve been making championship trophy tour appearances around here of late … well, ugh is all I can say. No matter, it is a way of life and tells you a lot about the mentality of the region. 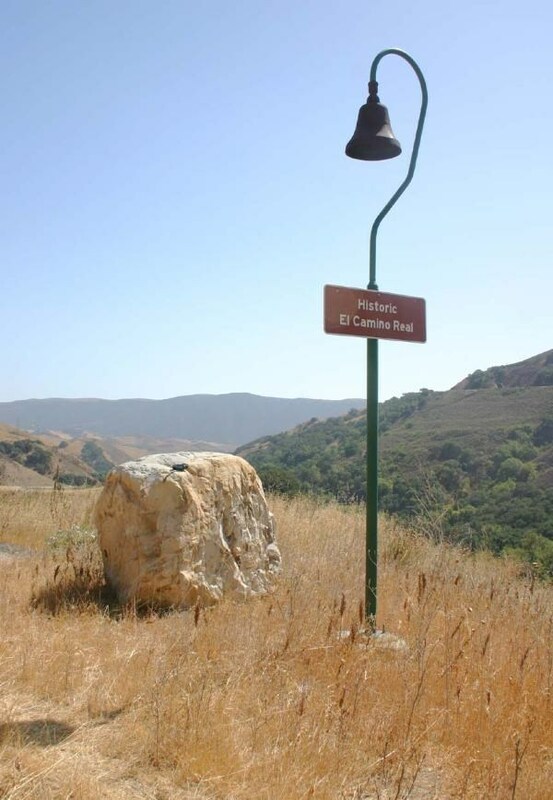 The El Camino Real is a trail that connected the Spanish missions in California. The site pictured is on the Cuesta Grade dividing Northern and Southern California. The wine culture is big in Paso and although the area thinks of itself as much different than Napa, there’s no denying the similarity in the influence of vino in the North County. And politically there’s a variance as well. The city of San Luis Obispo has a long-standing tilt to the left, while North County is a bastion of conservatives. The Cuesta Grade pass maybe only 1,500 feet in elevation, but it might as well be the Himalayas. The grade divides the state on the Central Coast and the county as a whole is united when it comes to helping out each other, such as commerce, tourism platforms and the same local television station. Still, much is divergent in regards to the culture of the Central Coast as the Cuesta Grade indeed divides the Golden State into the a north and south. This entry was posted in Central Coast, History and tagged Cuesta Grade - North South Divide, North County, Paso Robles, San Luis Obispo County, SoCal on March 12, 2015 by PasoDr. Love that song and Canned Heat’s unique sound. In any case, the wine industry can advance at a glacier-like pace when it comes to change. That’s not necessarily a bad thing, but with the popularity of wine now being marketed to the masses, change will come. As to that end, the unique idea of canned wine may be here. This is unique but actually Winestar, a French company – of all people – produced some canned wine a few years. Of course, they insisted it be drank in a glass. Those French blends came from the south of France. Now, over 5,000 miles away, a small winery in Boise, Idaho, is bringing vino in a can to the public. Split Rail Winery who are the makers of La Boheme White Wine – this most recent stab at canned wine – suggests you should drink it right out of the can. I’m sure the bulk of wine drinkers are cringing at this thought. Pop a aluminum top can, rather than a cork?! The horrors! Established and longtime lovers of wine wouldn’t possibly drink vino out of a can. However, the canned approach to drinking wine is aimed at a new following, who are younger and don’t need the pomp and circumstance or care about the history that can go with traditional wine. 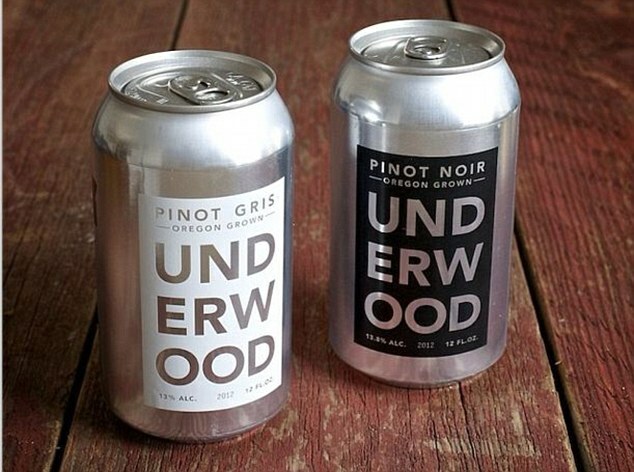 Although the folks at Split Rail Winery like to say the idea is new, Union Wine Company, just 400 miles to the west, came out a year or so ago with their Underwood Pinot Noir and Pinot Grigio in a can. By the way, La Boheme is a Riesling, branded as Strange Folk Wines. And the idea of canning quality spirits isn’t new in this area where craft brewing is so big, what with quality micro-brews also being canned on a regular basis (Forbes). Campers or just outdoor enthusiasts will understand the draw. Canned wine is easier to dispose of than a bottle, plus when you’re out and about in the sticks like at a lake, river or ocean, it will be much easier to enjoy from an ice cooler while sitting around the campfire, partying or just having a fun time. The issue I see is people will be drinking a can of wine like they drink beer, and that could lead to folks getting plastered much quicker and easier. At $6 each, La Boheme comes in 12.7 oz lined aluminum can which is equal to half a bottle of wine. Yee Haw will likely lead to Heave Ho – if you get my drift. This entry was posted in Wine and tagged Canned Wine, Idaho wine, Split Rail Winery, Strange Folk Wines, wine in a can on March 8, 2015 by PasoDr.